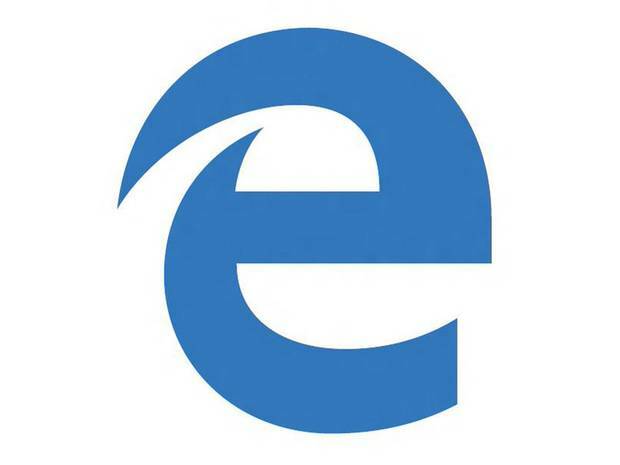 So far, as of Windows 10 build 10130, Microsoft’s new Edge browser is a frustrating mix of the excellent with the deficient. I’m enjoying the browser’s speed, simplicity, and touch support, but bemoaning the lack of password saving and syncing and extensions. One basic feature that I thought was lacking, the ability to set default tabs that open when the browser is started, is actually present, albeit a bit confusing. It’s very simple to set default tabs. 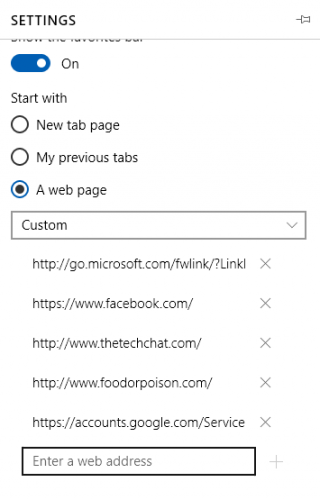 Just go to Settings, and under “Start with,” select “A web page.” Things would be much clearer, of course, if Microsoft simply made that option something like, “Web pages” to indicate that multiple pages can be set. Under “A web page,” select “Custom,” and you’ll be able to add, delete, and (theoretically) move the pages you want to start with Edge. The interface is pretty straightforward, and adding and deleting pages works as expected. Note that although you can drag a page up or down in the list, it doesn’t stick. So, for now, add pages in the order that you want them to open.